We put "The RC Fishing Pole" on a Traxxas Blast! It’s still a little early here in Michigan for fishing on the local lake. 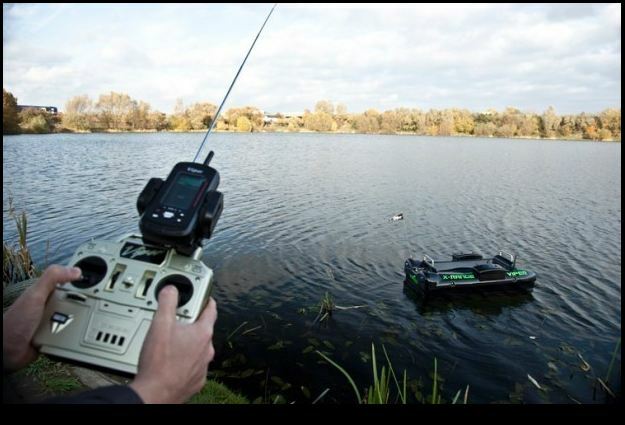 But that couldn’t stop us from trying something I’ve been planning since I bought a new rc boat. I had heard a Traxxas is a really good remote control boat so I chose the most inexpensive model they make which is the “Blast”. The boat didn’t come with a battery or charger like most of the other ones I have did. The boat itself was about $100, my choice of battery was a Venom 7.2 volt 2400mah nicad which proved to be very impressive since I’m used to using 1800mah. The battery made a huge difference, and is just what I needed for the new boat’s fishing trip.